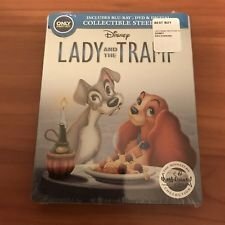 I LOVE the Lady & The Tramp Movie, and I am so excited that it released on Blu-Ray this week, and I’ve already watched my copy!!! 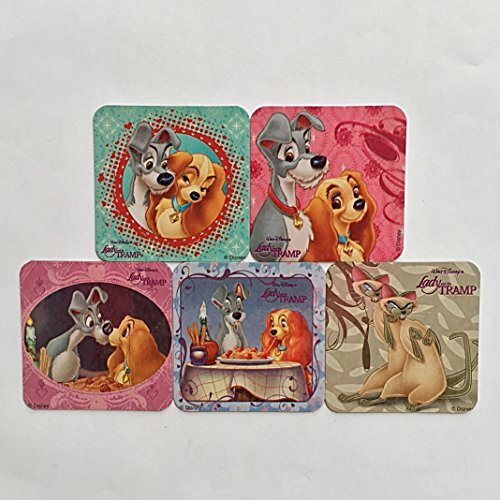 What was your favorite childhood Disney Movie? My favorite Disney movie was Cinderella. Beauty and the Beast has always been one of my favorites. Beauty and the Beast! Snow White was the first movie i saw in theaters and so that has a special place in my heart, but Beauty and the Beast just had me enthralled from the first minute! And Belle reads! My favorite Disney movie as a child was Bambi, and its still my favorite! My favorite was Mary Poppins. My second favorite was 101 Dalmatians. Old Yeller was my favorite. My favorite childhood Disney movie is The Lion King. I like them all but partial to Aladdin, My daughter danced to “A Friend LIke Me” in a talent show when she was 5 ad I still see it in my head 25 years later. 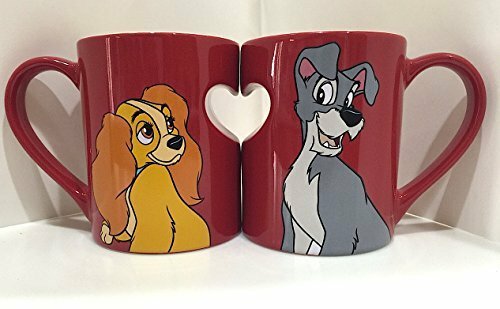 Mine was Lady and the tramp. The Sword in the Stone has always been my favorite Disney movie! 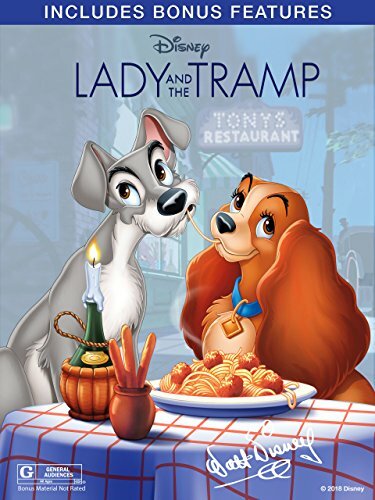 My favorite childhood movie was Lady and the Tramp. My favorite Disney movie has always been Fantasia. 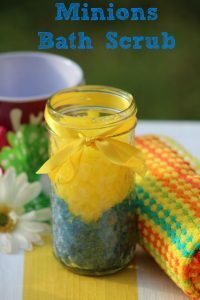 Most of the ones others have listed are from my children and grandchildren’s childhoods! I love the classics from my childhood. I am in my 50’s . My favorite was Pocahontas. Thanks. It was a pretty obscure Disney movie called The Watcher in the Woods. My favorite childhood Disney movie was Cinderella. I liked robin hood and the sword in the stone. I always loved the Disney movie Cinderella the most of all of the fine movies. I have always liked Cinderella. My favorite was Snow White. I’d have to say my favorite Disney movie growing up was Alice in Wonderland. My favorite childhood disney movie was probably the Little Mermaid. 101 Dalmations was and still is my favorite !! My favorite Disney movie was Dumbo, I remember taking my daughter when she was a little girl! snow white has always been my favorite. i am such a big disney fan. As a kid, my favorite Disney movie was dumbo, I absolutely could not wait forwhen it would come on the Sunday night Disney special. Cinderella! Still love that one. I loved Sleeping Beauty, I totally got the temptation she had of the forbidden, lol. It would be the Little Mermaid. Something about it I just love. I have lots of seconds as well. The Little Mermaid is my favorite childhood Disney movie! Thank you for the chance to win! Cinderella was my favorite childhood Disney movie. My favorite Disney movie has always been The Lion King. My favorite was the Little Mermaid. This is so awesome. My childhood favorite Disney movie was definitely Pocahontas! I was so obsessed with it! My favorite childhood Disney movie is Cinderella. My favorite childhood disney movie was Lion King. I loved the Parent Trap. Still do! My favorite Disney movie from my childhood is Beauty and the Beast. The movie I loved the most was The Lion King. It came out when I was in high school. I saw it like 10 times. I always loved Cinderella when I was a kid. My favorite is Fantasia, because it was much more complex than other Disney films. Mary Poppins has been a favorite of mine since I was 6 years old. Lilo and Stitch is my favorite! I liked The Little Mermaid as a child. I liked the movie Bambi as a child. The Lion King was my favorite! My favorite childhood Disney movie was Alice In Wonderland. Fingers Crossed! Lots of new movies coming out this spring that my girls and I are excited about. Peter Pan was my favorite Disney movie to watch growing up. 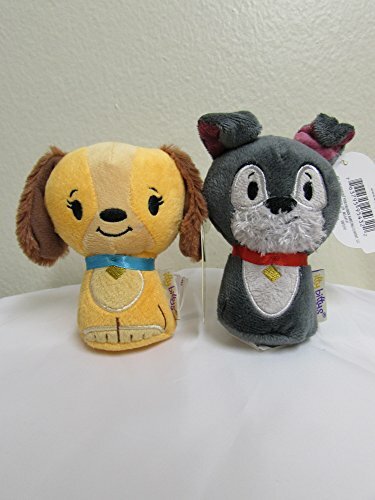 101 dalmations was my favorite disney movie! My favorite childhood Disney movie was the apple dumpling gang. I really used to love (still do) Toy Story !! Alice in Wonderland was my favorite! My favorite Disney movie growing up was The Aristocats. My favorite was 101 Dalmatians. My favorite childhood Disney movie is Aladdin. I always loved Dumbo even through it made me cry. Bed knobs and Broom Sticks, Mary Poppins, and Sleeping Beauty. My favorite Disney movie by far is Beauty and the Beast. The Lion King. Thanks for the nice giveaway! My favorite childhood movie was Bambi! My favorite childhood Disney movie is The Little Mermaid!! My favorite Disney movie growing up was Beauty and the Beast. I really love Old Yeller. Bambi was my favorite Disney movie. 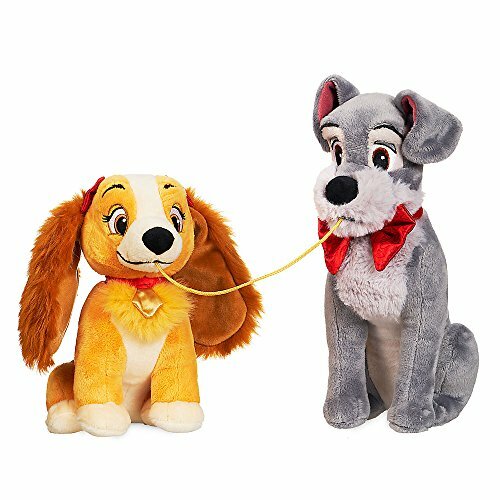 I loved Lady and The Tramp, but I think my favorite was probably The LIttle Mermaid! I love Disney movies! We still love The Lion King best after all of this time. 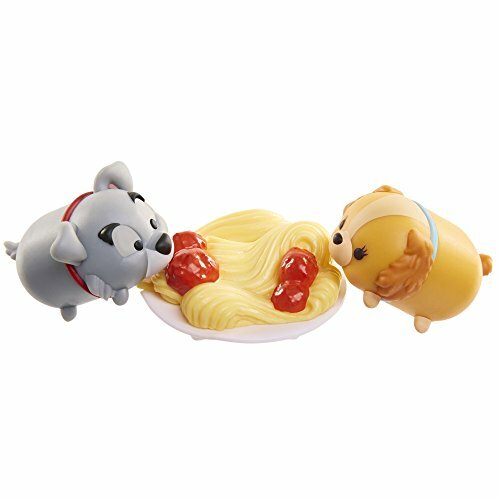 Actually, Lady and the Tramp is my favorite. Bambi was a close 2nd though. Great movies to grow up with. I loved the Sword in the Stone. We did not watch a lot of tv, so I don’t have one from my childhood. My kids liked Lion King. My favorite Disney movie has always been Cinderella. When I was a child it was Beauty and the Beast. However, I hate to epic proportions the live version. My favorite childhood Disney movies were Peter Pan and 101 Dalmatians. 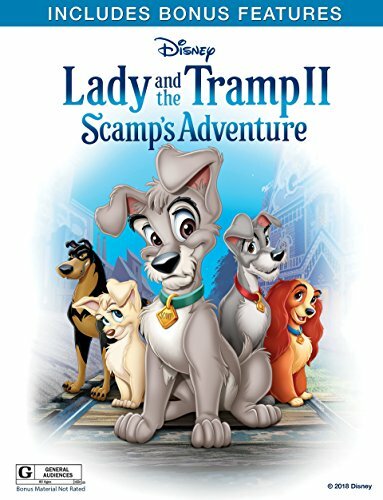 My afvorite childhood Disney movie was Lady and the Tramp. Thanks for the giveaway. I hope that I win. My favorite childhood Disney movie is Sleeping Beauty. My favorite Disney movie is Beauty & the beast! The Little Mermaid is my favorite childhood movie! My favorite was Jungle Book. It now ties with Lion King for my favorites. I really liked Cinderella growing up. When I was a kid I loved Cinderella. My favorite has always been Cinderella. There are so many that I watch over and over again but I think The The Pacifier is my favorite . I always liked Beauty & The Beast the best. As a child, I liked the movie Mary Poppins. I’ll be honest – I haven’t always been happy with the changes Disney has made to some of my favorite fairy tales (especially Little Mermaid). However, I have to also say that my favorite of the Disney movies is Beauty and the Beast!